The 70,000-acre Valley Fire in Lake, Sonoma and Napa counties that has claimed one life and injured four firefighters is expected to be among the most damaging California wildfires ever, Cal Fire said. The Valley Fire is currently ranked ninth based on the number of structures damaged, according to Cal Fire statistics, but its rank will likely change when the fire is contained and full damage is assessed, fire officials said. The Tunnel Fire in the Oakland Hills in October 1991 is ranked the worst fire ever in the state. It claimed 2,900 structures and 25 lives while burning 1,600 acres, according to Cal Fire. The specific point of origin and cause of the Valley Fire is under investigation, Cal Fire spokeswoman Lynette Round said. Cal Fire officials said the blaze started around 1:25 p.m. Saturday off High Valley Road near Bottle Rock Road in Cobb. 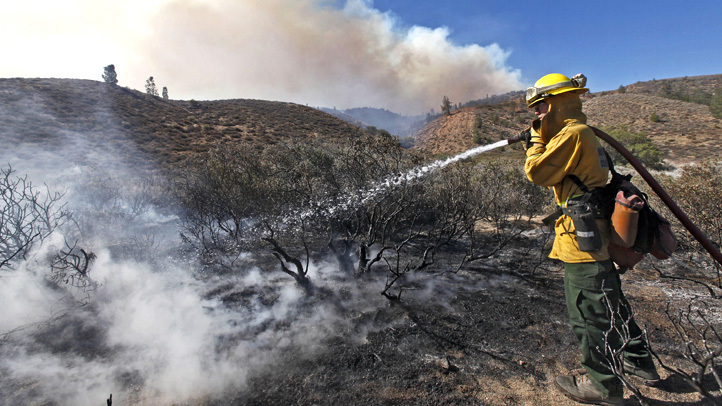 The fire was at 70,200 acres and 35 percent contained as of Wednesday evening. At least 585 homes and hundreds of other structures have been destroyed, Cal Fire officials said. The fire claimed the life of a 72-year-old Lake County woman in her Anderson Springs home in Cobb. Several other Lake County residents have been reported missing. 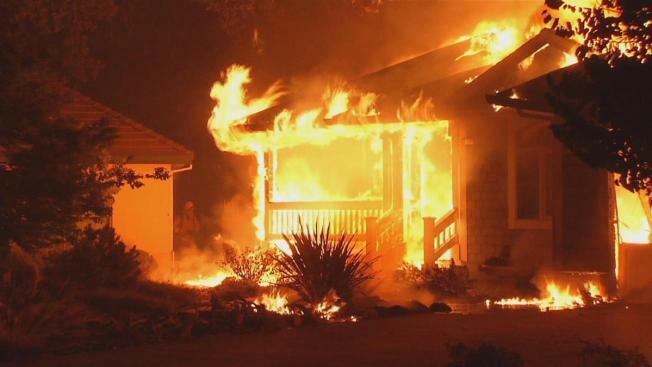 Four firefighters were injured in the fire Saturday and are in a Sacramento hospital.